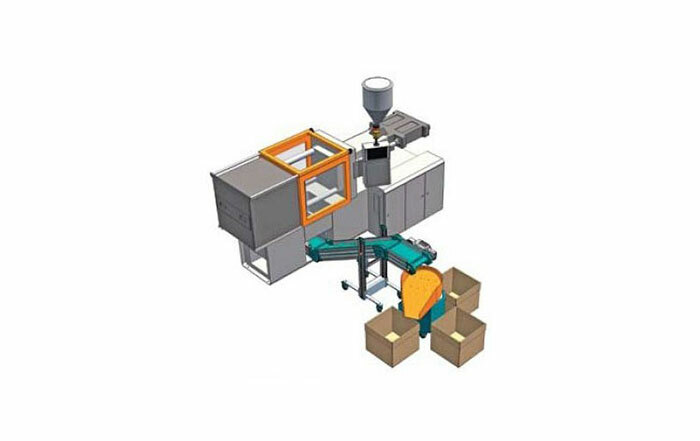 For automatic feeding of parts from a conveyor belt to a number of different delivery points. Often used on ‘lights out’ operations to reduce manpower. 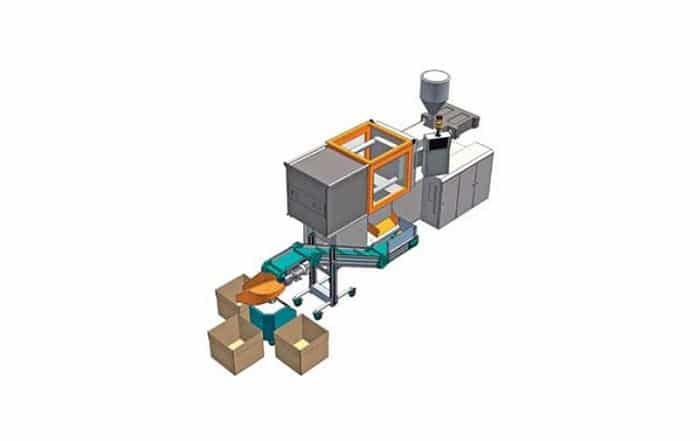 The Control Panel of the “Duck” can be set to memorise the conveying times from the opening of the mould to arrival in the container. 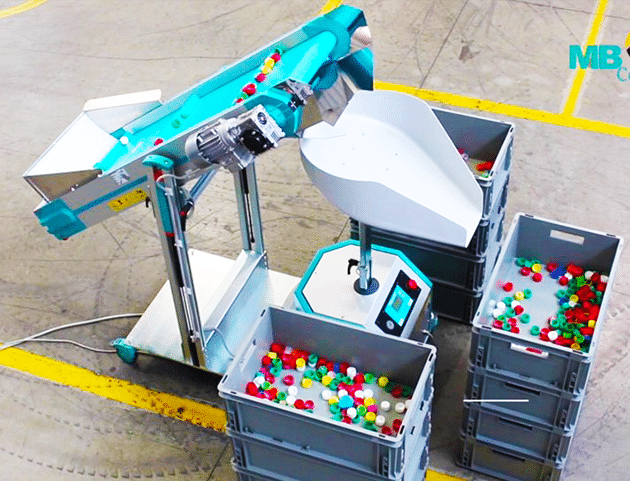 It is also possible to programme the “Duck” so that the product is unloaded into the container at various points, thereby avoiding central pyramid accumulation. 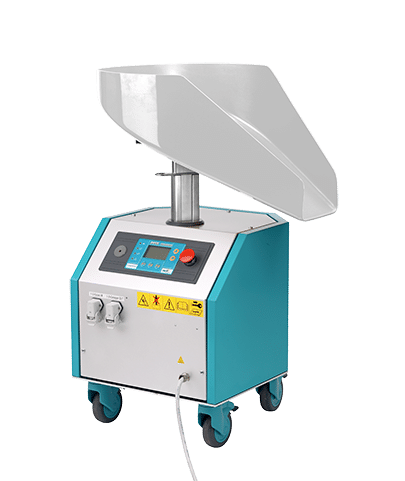 360° rotation for maximum filling capacity. Reject function linked to machine.